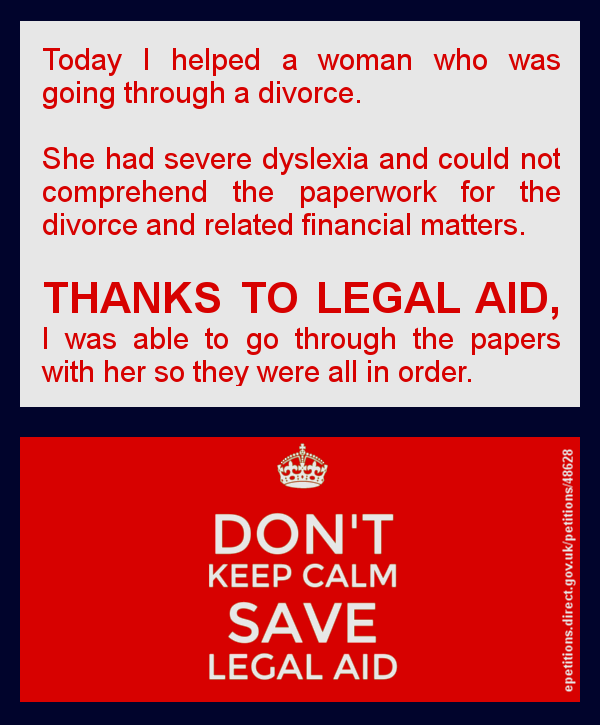 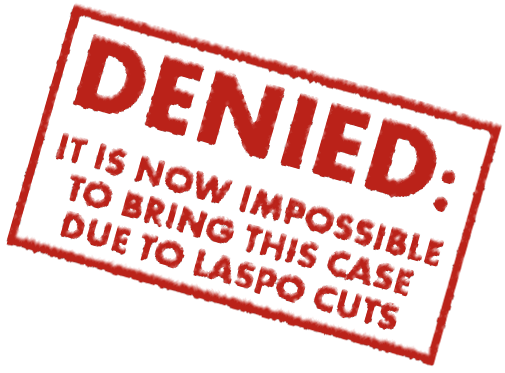 THANKS TO LEGAL AID, I helped a severely dyslexic woman sort out the paperwork for her divorce. 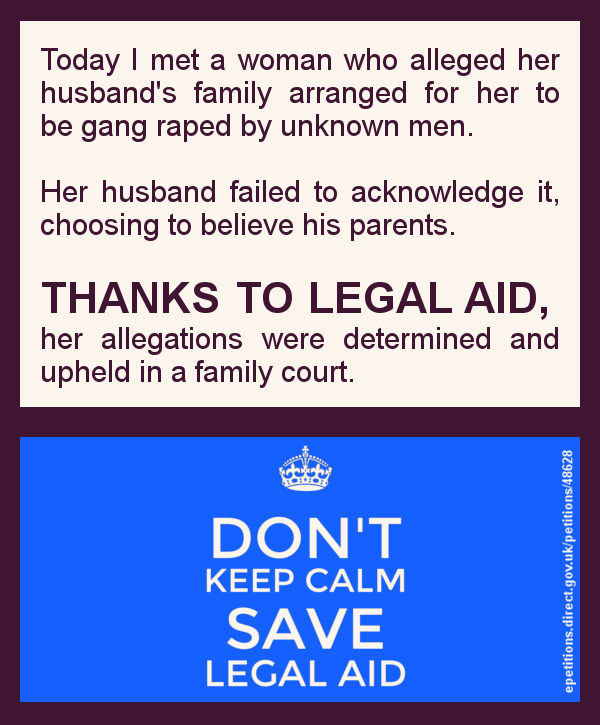 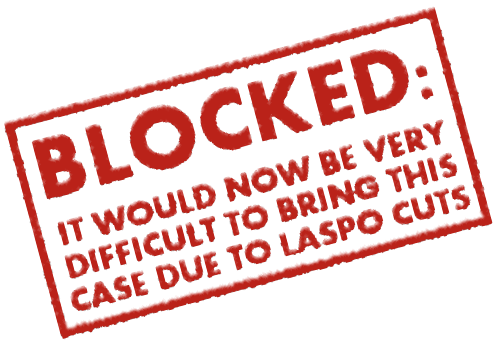 THANKS TO LEGAL AID, the court upheld a woman’s allegations that her in-laws were arranging for her to be gang raped. 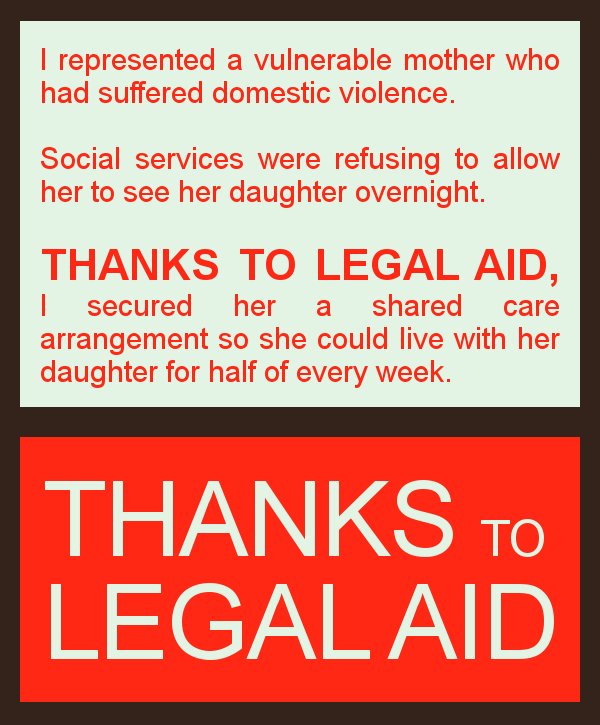 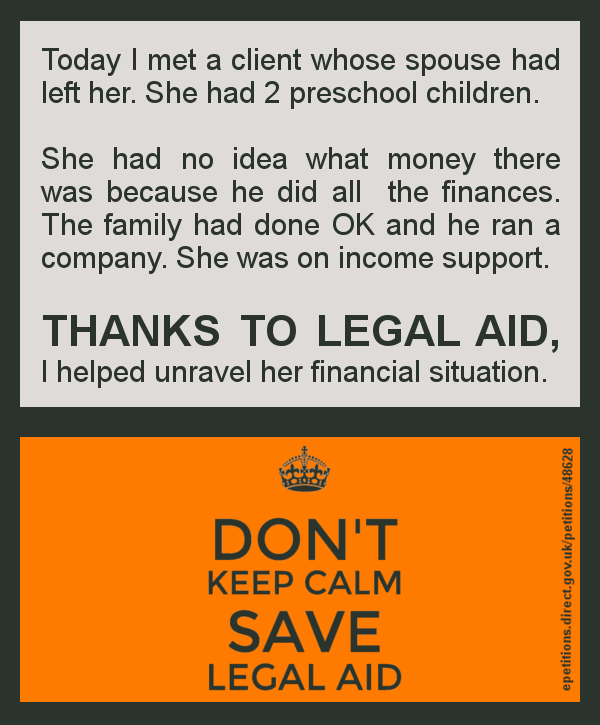 THANKS TO LEGAL AID, I helped a mother of two who was going through divorce find financial stability.